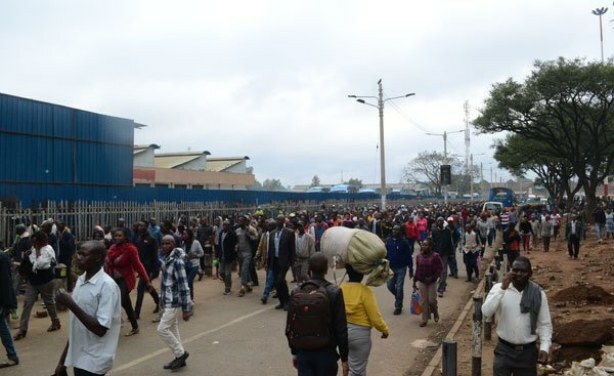 Governor Mike Sonko has said the removal of matatus from the centre of Nairobi is not a punishment for residents but to bring order to the city. He says his administration has invested heavily in the construction of bus terminals in Ngara and Muthurwa which are ready for use. Commuters walk to work in the CBD after being dropped off at the Railways terminus on December 3, 2018.